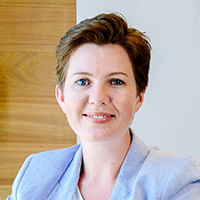 Karen Hussey is a Professor of Public Policy and Director of the Centre for Policy Futures at UQ. A political scientist and economist, Karen undertakes research in the field of public policy and governance, with a particular interest in policy relating to sustainable development. Her recent research has focused on governance arrangements of the Great Barrier Reef, water policy, climate change mitigation and adaptation, the links between international trade and environmental regulation, and the peculiarities of public policy in federal and supranational systems. Karen has undertaken consultancies with the Commonwealth Government and the governments of Queensland, New South Wales and Victoria. She is a Graduate of the Australian Institute of Company Directors, and she sits on the boards of the Noosa Biosphere Reserve Foundation, the TJ Ryan Foundation, the Future Earth Australia Scientific Steering Committee, the WWF Expert Scientific Committee, the International Partnership for Blue Carbon and the Future Earth Working Group on Water, Energy and Food. Karen is a member of the QLD Premier’s Climate Change Advisory Council.